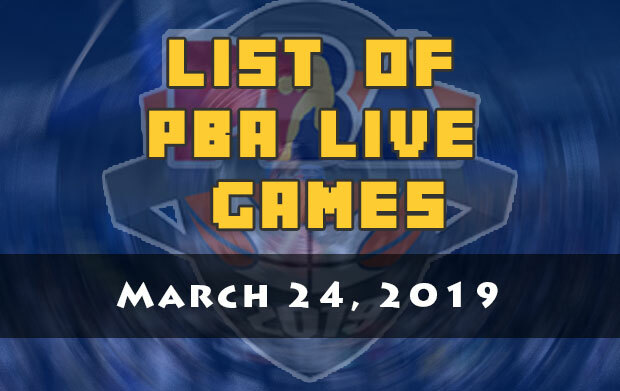 Here is the list of PBA games scheduled for March 24, 2019 (Sunday). The 2019 PBA Philippine Cup will resume today at the Smart Araneta Coliseum in Quezon City. The first game is scheduled at 4:30 PM and it’ll be the TNT KaTropa and the NorthPort Batang Pier. The KaTropa continue to be the hottest team in the PBA as their winning streak now reaches to five. TNT wanted more as they try to end their elimination round campaign at the second spot of the standings. The Batang Pier on the other hand will make an attempt to sweep their remaining three games to improve their chances on making it to the playoffs. The second game is between the San Miguel Beermen and the Alaska Aces at 6:45 PM. The Beermen will be playing their last game in the elims of the 2019 PBA Philippine Cup and surprisingly they’re in the middle of the pack. For the past few years, the All-Filipino conference were dominated by the Beermen. Coincidentally, they’ll be facing the Alaska Aces in tonight’s game. San Miguel authored that famous “Beeracle” run where they fought back from 0-3 deficit in the Philippine Cup Finals.